TestBED is a 10-week accelerator programme that gives startups an invaluable opportunity to test their products within an operating Marriott Hotel. 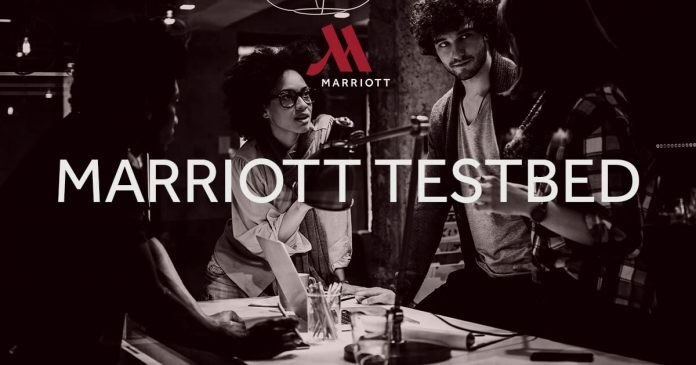 Marriott TestBED Middle East & Africa is an accelerator programme powered by Marriott Hotels with the aim to find cutting edge technologies, that can transform hotel guests experience. The programme will work with startups that have developed products and services which can enhance Marriott Hotels guest experience. Marriott TestBED Middle East & Africa is a 0 cash; 0 equity; 100% opportunity accelerator. TestBED provides startups with an invaluable opportunity to test their products/services for 10 weeks within an operating Marriott Hotel in a major city in the Middle East or Africa. During this period, startups will be able to receive feedback from Marriott guests and associates to help develop their product. It does not offer startups cash, nor does it ask for equity. Ready to shape the future of travel and hospitality? Is your startup developing a product or service, which can enhance in-room experience of hotel guests, transform their stay and help them achieve a relaxed state of mind? Apply now to join the TestBED accelerator programme with the opportunity to test your offering at Marriott Hotels. Marriott TestBED accelerator programme lasts 10 weeks. During this time, the selected startups will not be required to relocate their operations. However, participants will be required to travel, as most of this period will be spent within a designated Marriott Hotel in the Middle East or Africa to pilot their product/service. Travel and accommodation expenses during this period will be covered by the programme. A screening jury examines the received applications and selects 8 startups to participate in Marriott TestBED Pitch Day. The names of the 8 finalists are announced. The selected startups are invited to Marriott TestBED Pitch Day. The 8 finalists gather in Dubai, UAE to take part in a series of workshops and pitch their businesses to a panel of judges. The names of the 2 startups selected to join Marriott TestBED Middle East & Africa are announced. The Marriott TestBED accelerator programme starts and each of the selected startups joins a designated Marriott Hotel in the Middle East or Africa. The Marriott TestBED accelerator programme ends and the final products/services created are announced.